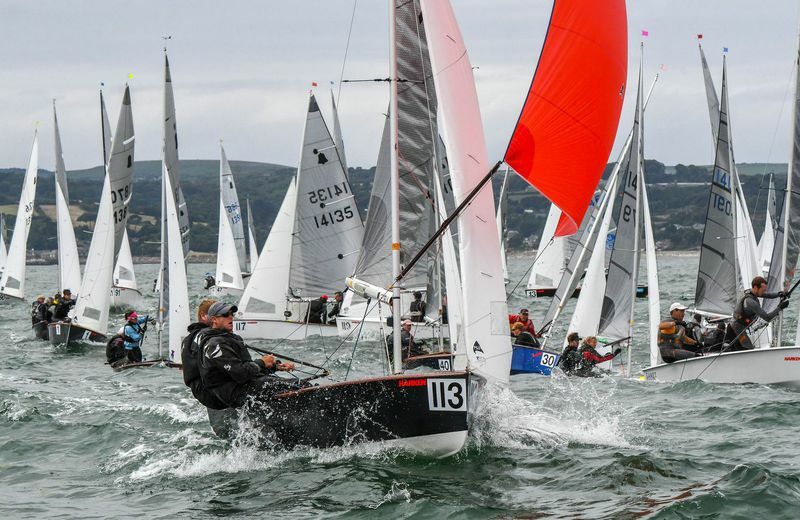 The first event of the season is scheduled for Mullingar Sailing Club. Lets get the season off to a great start with a big turnout. With plenty of interest already shown for the GP14 Leinsters in Dun Laoghaire, Mullingar is a great setting to get preparartions underway. Mullingar is in a central location, the lake offers a really good sailing area - we can get on the water when nobody else can. Sailing area is 5 minutes from slipway - not an hour! Dinner & the few drinks are in the centre of Mullingar, so no freezing outside the clubhouse. Convinced - great - we want you in Mullingar for this start of season event. The event will have a revised format from previous seasons. This has been done to try and ensure all racers get as much racing as possible as well as ensuring we have a result in the event we lose a day of racing due to weather. Details will be outlined in the SI's. The NOR is now available on the Mullingar Sailing Club website. Entry Forms and SI will be made available in due course. Accommodation: More details to follow. Location of Club: See the About Us page on our website www.mullingarsailinclub.ie for details. There is no bar or catering restaurant at the Club, but snacks will be available for the duration of the event. A great response from the Class. Keep up to date with what is happening by checking the VDLR link. If you are under 22 on December 31st or still in full time education you are eligible to submit an application for a place on this years Youth Training Week taking place in Plas Menai, Caernarfon, Gwynedd from Sunday 28 July to Friday 2 August 2018. Applications must be received by March 18th. Not only do GP14 youth sailors benefit from top quality coaching, its also a chance to meet, socialise and forge friendships with other sailors. Check out link below for more details and application form. Thank you to all those who provided feedback to the Committee with regard to preparing for Worlds in Skerries 2020. Over 150 separate comments were received from almost all those who attended Mounts Bay last year. The details have been passed on to the 2020 Skerries Worlds Organising Committee. It was with great sadness that we learnt of the passing of Gerry Gilligan on Saturday after a short illness. 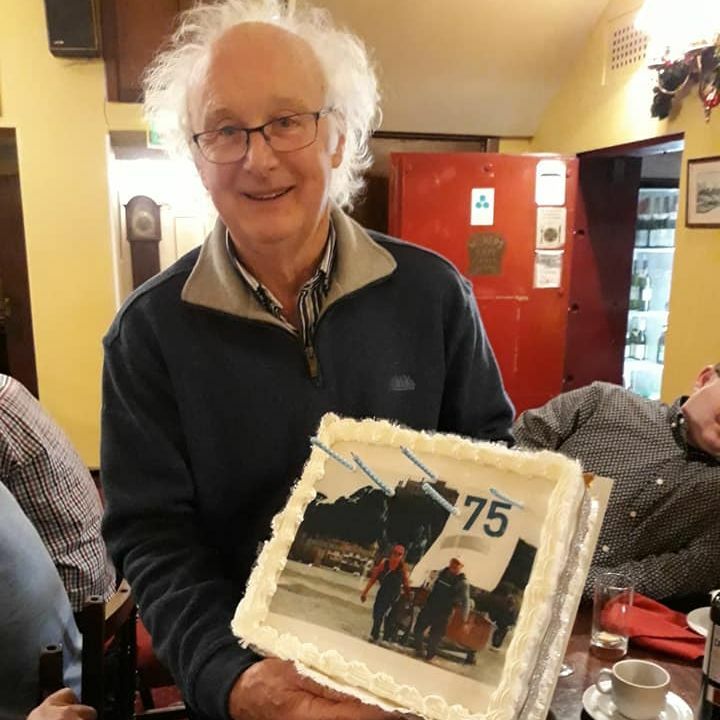 Originally from Baldoyle in Dublin, Gerry lived in Ballyshannon, Co. Donegal and was for many years a great supporter of the GP14 class, sailing out of Sligo Yacht Club at Rosses Point. Gerry was a regular traveler to GP14 events around the country until quite recently. Gerry had a number of boats down the years including 'Gatecrasher' and was regularly crewed by his daughter Andrea. Gerry was known to sometimes paint the hull of his boats with a different color on either side. In more recent years, Gerry also sailed out of Lough Erne Yacht Club crewing on and latterly owning a J/24. Our thoughts are with his wife Felicity, his daughters Andrea and Raissa and all the family at this time. Remains will repose at his residence on Monday from 2pm until 10pm. House private at all other times. Remains will arrive in St. Patricks Church, Ballyshannon on Tuesday for 12pm. Funeral Mass followed by interment in Saint Ninnidhs Cemetery, Bundoran. Newtownards Sailing Club is delighted to host the Hot Toddy and is offering a special youth entry of €25 / £20 (both helm and crew are aged 21 or under), with the usual free on-site camping..
Saturday night sees a special end of season party with good hearty food and entertainment by the Diesel Drinkers a six piece band fronted by GP sailors Michael Park and Davy Allen. With a late licence, drinks promotions and great company this is sure to be a night to remember and a fitting way to close the season. Look out for spot prizes, fun and games and much more. Event reports are written by the helm or crew of the 3rd placed boat. took the 2nd spot with Peter Boyle and Stephen Boyle finishing with a 3rd over all. Thank you to all in mullingar that made the event possible and for stepping in to take not only the autumn open but also youth championship which is no easy task. This year saw 16 youth boats take to the water to battle it out for the youth trophy. 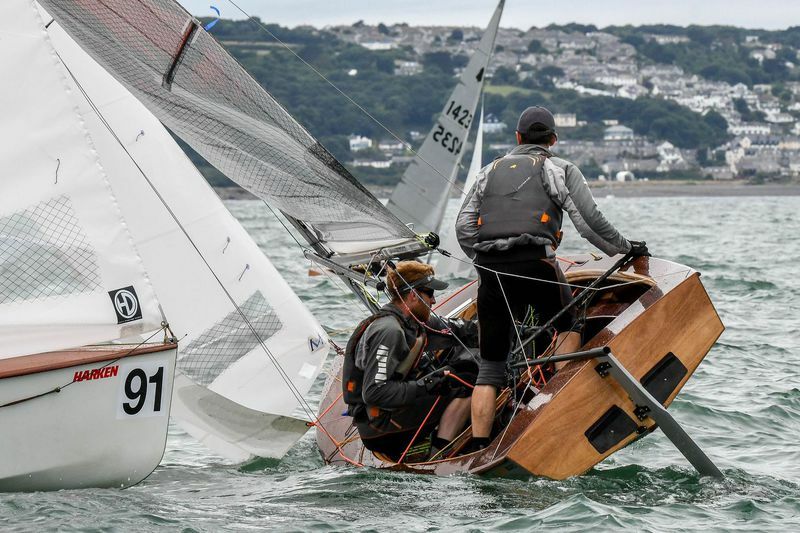 This event turned out to be tough for a lot of crews as the conditions were breezy and some had completed a total of 8 races by the end of the weekend. Race 1 saw brothers Gareth & Richard Gallagher getting away clear from the start and holding their lead throughout the race. Sutton’s Conor Twohig & Alex Kavanagh also had a great race finishing in 2nd place, clear ahead of the chasing pack with a great battle for 3rd between 5 boats. Peter & Stephen Boyle got the advantage of the pack to take 3rd. Race 2 saw yet another battle, this time for 1st place between 4 boats. Sutton’s David Johnston & Dan Gill came away with the win after pulling out a gap on 2nd place Peter & Stephen Boyle, with James Peter Hockley & Alan Thompson coming in a close 3rd. This left Peter & Stephen the overnight leaders, just one point ahead of fellow Sutton rivals David and Dan. Only 5 points separated the top 6 which meant there was still a lot to play for. Sunday saw a bit more breeze than the previous day, which split the fleet up a lot more than Saturday’s races. Race 3 finally got underway after a couple of general recalls, with PRO Fred Ternan having to opt for the black flag. This remained for the rest of the day as time was running out. Race 3 saw Peter & Stephen take the win, with NSC’s Josh & Michael taking 2nd ahead of Lough Foyle’s James & Alan. Race 4 saw yet another battle between 6 boats coming in to the first leeward rounding, after gusts split the rest of the fleet on the first reach. After a great final race Peter & Stephen took the race win ahead of David & Dan with Youghal’s Adrian Lee crewed by Ossian Geraghty coming in 3rd. Coming away with the overall win after a great event was Sutton’s Peter & Stephen Boyle, followed by fellow Sutton sailors David Johnston & Dan Gill in 2nd , with Newtownards SC’s Josh Porter & Michael Cox coming in 3rd with only 2 points separating the next 3 boats. Big thanks to Mullingar Sailing Club for hosting the event at such short notice and to PRO Fred Ternan and his race team for getting 4 great youth races in, as well as the open event. Thanks also to the boat owners for lending their boats to some of the youths! Finally, I hope to see many of you at Newtownards SC for the Hot Toddy, it’s sure to be a great event! The next event of the season is scheduled for Mullingar Sailing Club. Come to Mullingar and to make this the biggest event of the season. We are in a central location, the lake offers a really good sailing area - we can get on the water when nobody else can. Sailing area is 5 minutes from slipway - not an hour! Dinner & the few drinks are in the centre of Mullingar, so no freezing outside the clubhouse. Convinced - great - we want you in Mullingar for this big fleet event - we guarantee at least 6 boats from the Club. This is a combined event - the Autumn Open and the Youths Championship, so if you have any youths who could helm your boat for the Youths, please make sure to encourage them to enter. I look forward to meeting you over the weekend. I just want to use this email to share a few details about location & accommodation for the weekend. Accommodation: The dinner on Saturday night takes place in the Annebrook House Hotel in the centre of Mullingar, so I suggest you arrange your accommodation in the town rather than at the club. The trend has crept in for those attending events not to eat at the club - I think that the conviviality of the Saturday is as important as the sailing, so I would urge you to head to the Annebrook for the grub & craic. Location of Club: See the About Us page on our website http://msail.net for details. There is no bar or catering restaurant at the Club, but snacks will be available for the duration of the event. If you have any queries, please contact me by return email to collenderfamily@gmail.com or phone 087-2529433. Regards & best of luck in the event. We aim to do our best to make your visit to Mullingar an enjoyable experience. 2nd overall was Sam Watson & James Hockney with a return to the local scene from Tim Corcoran & Brendan Brogan taking 3rd. It will now be held in Mullingar and no longer Blessington. The water levels in Blessington are too low to hold the event. Thanks to Mullingar for stepping in at short notice. Registration: Saturday 18th August from 09:00 to 10:30. The GP14 Ireland AGM will be held at Sligo YC on Sunday 19 August at 6.30pm. Minutes and matters arising from the Annual General Meeting held at Ballyholme YC on Sunday 20th August 2017. Dinner is due to be served that night at 8pm. Race 9 was sailed in light shifty airs. Mike Senior was just 1 point ahead of Ross Kearney over night so it was all down to the last race. Mike made a good clean start - Ross did not. Ross couldn't get clear air to fight Mike for the championship. Mike took the race with Neil Marsden taking 2nd. Ross finished 28th. Good enough to keep Ross in runner up postion. Neil's 2nd took him into 3rd overall. Shane & Taxi took 4th overall. Ger & Mel take 9th with some of the most consistent results throughout the week. Mel also takes leading lady crew overall. Tom Gillard & Andy Thompson finished 10th. All of these finishers were in the Platinum fleet. Curly Morris & Laura McFarland take 19th overall and 3rd in the Gold fleet. Next Irish boat was Alan Blay & David Johnston in 22nd. Keith Louden & Alan Thompson in 28th. Katie Dywer & Michelle Rowley in 41st position take first lady helm and all female boat. All boats have GPS trackers. You can play back all races. You can also watch it live. All competors were invited to a drinks reception at the beautiful St Michaels Mount. Lord St Levan and his family still reside there but the Mount and the Castle have been gifted to The National Trust. 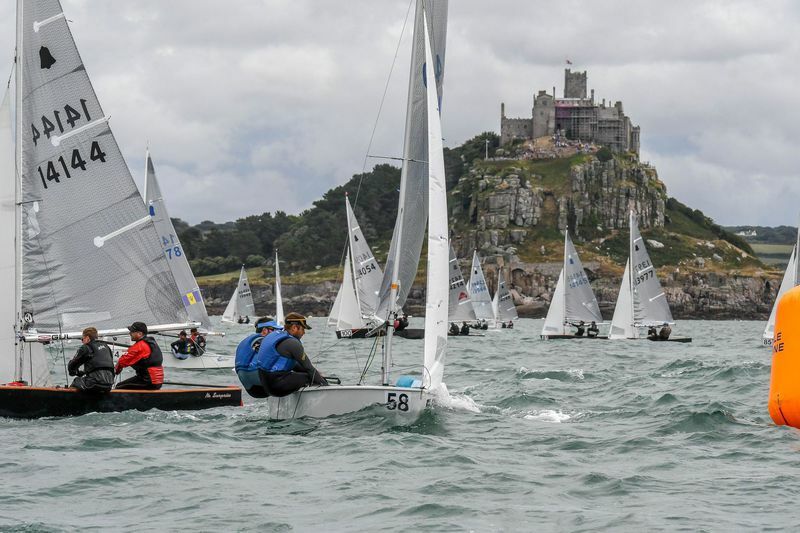 Lord St Levan is President of the Mounts Bay SC. This was followed by the traditional Irish night and promoting the next Worlds in 2020 at Skerries. It was very well attended. The flyer for the night encouraged the wearing of green. One of the male sailors could only find a green dress!! All I can say about the rest of the night - is that 'when the drink is in, the wit is out'.